By pairing our Clear Wormhole lenses with this stylish translucent frame, we’ve taken our Kaleidoscope Glasses to the next level. This classy yet bold frame is sure to grab some attention from your friends and family. Still featuring our stainless steel hinges and a GloFX branded frame, you know you’re getting a quality pair of glasses. You won’t find these anywhere else. 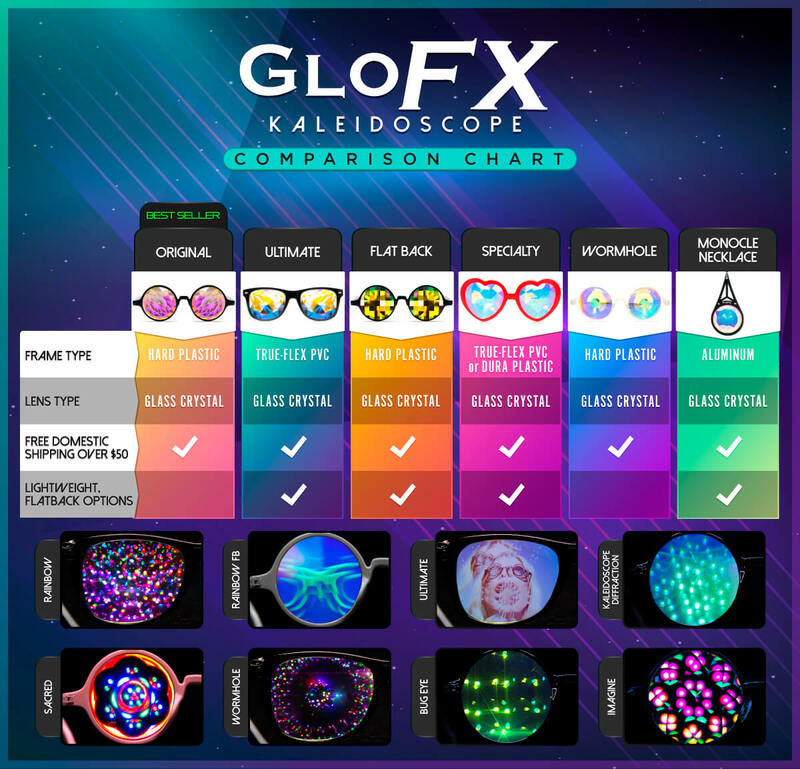 Try out these unique Kaleidoscope Glasses today!